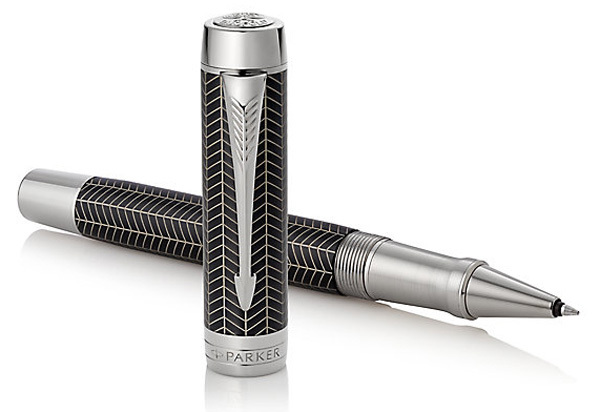 Parker has been our most important pen brand since our original store opened on Michigan Avenue in Chicago in 1932. 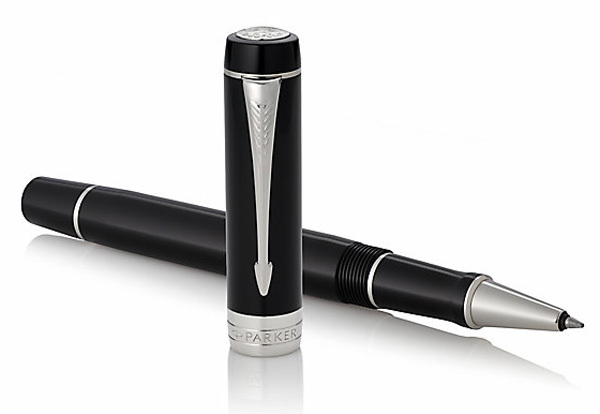 Parker is still our best-selling product line and our deepest inventory brand. We regularly bring Parker products in from Europe that aren't available in the US market (especially hard to find Jotter colors! 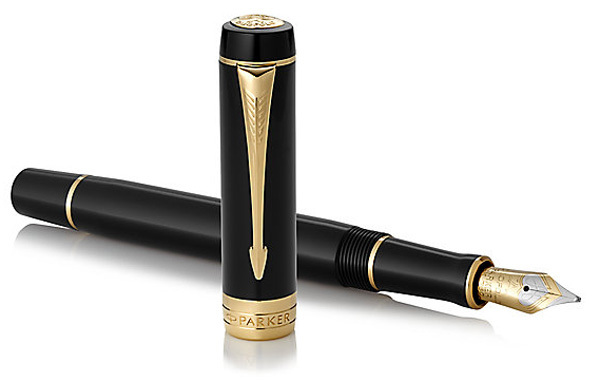 Late in 2016, Parker went through a process of "premiumization" of every product. 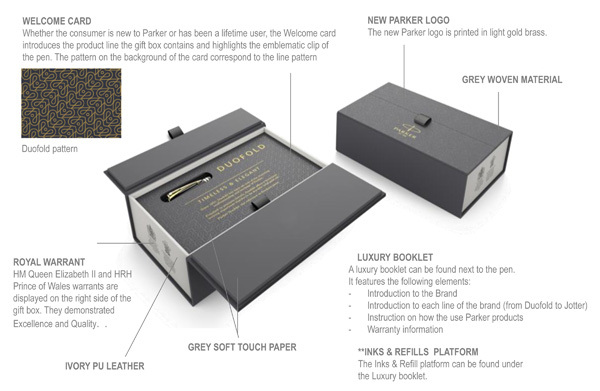 Every single product was re-designed, with an emphasis on providing premium quality - from the finish, the trim, the iconic Arrow Clip and even the gift boxes. 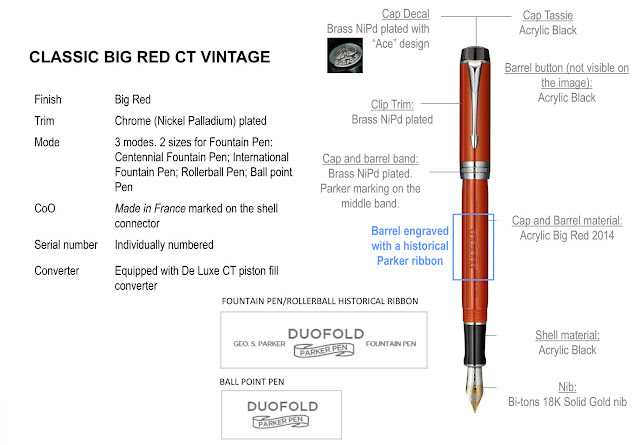 Duofold is the most prestigious and oldest existing Parker product in production. 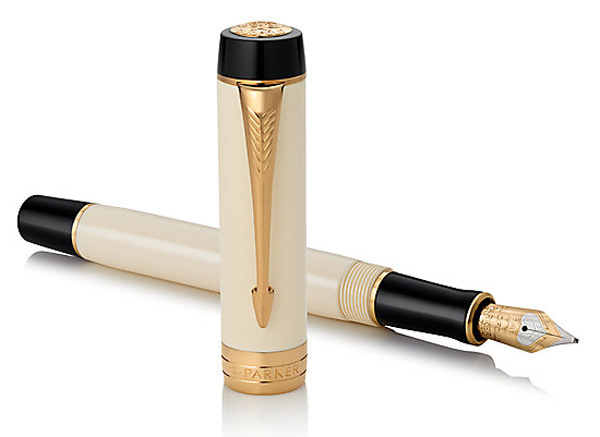 First launched in the Roaring Twenties (1921) it is renowned for it's Art Deco design. 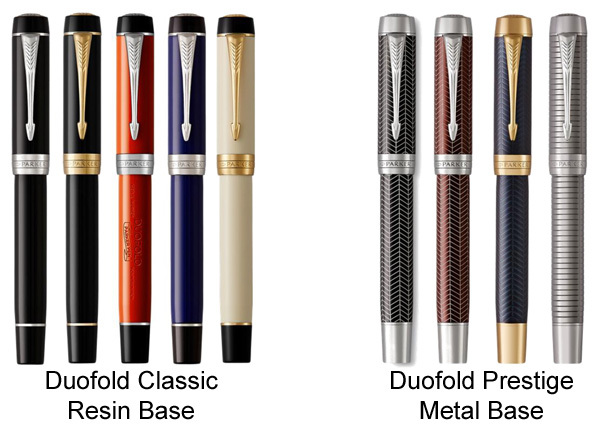 Duofold has been used by famous personalities such as Sir Arthur Conan Doyle, author of Sherlock Holmes mysteries. Featured below are all the new Duofold models introduced in 2016 and early 2017. 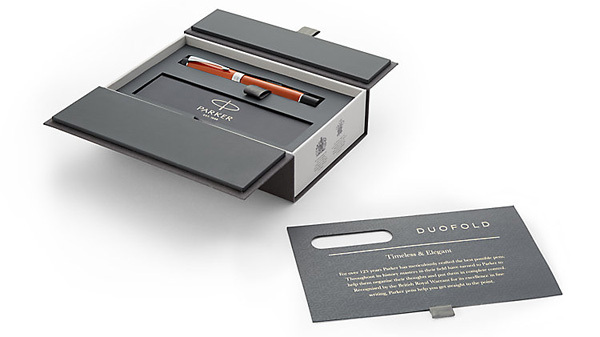 Duofold - High quality and excellence. Each pen is individually numbered. Vintage Big Red acrylic cap and barrel. 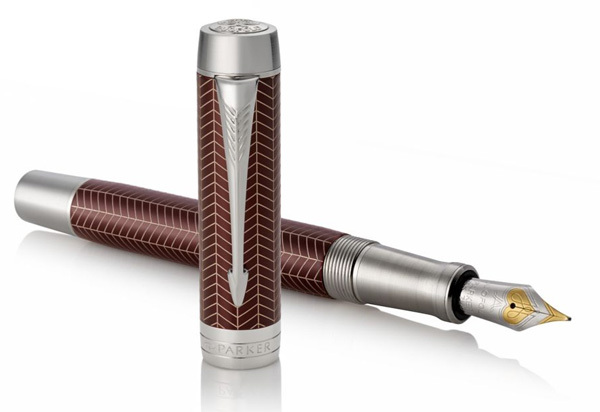 Barrel is engraved with a historical Parker ribbon. Each pen is individually numbered. 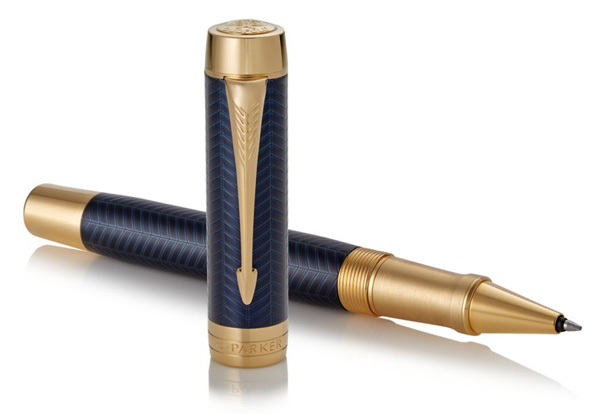 Blue lacquered finish with lasered chevron pattern. Finished with a translucent varnish. Each pen is individually numbered. Burgundy lacquered finish with lasered chevron pattern. Finished with a translucent varnish. Each pen is individually numbered. Black lacquered finish with lasered chevron pattern. Finished with a translucent varnish. Each pen is individually numbered. Ruthenium plated finish over chiselled patterned brass. Each pen is individually numbered. Black acrylic cap and barrel. Each pen is individually numbered. Blue acrylic cap and barrel. Each pen is individually numbered. Ivory acrylic cap and barrel. Important question: what are the prices? Very good question! 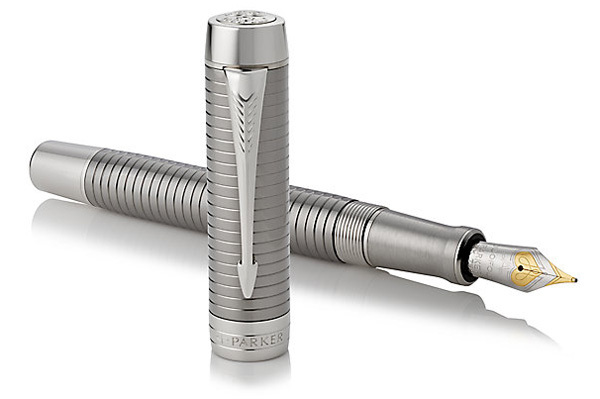 I'm told that we'll have final pricing from Parker in the next week to 10 days, so I'll add that to the blog when it's available. Thanks for asking. I want to see a Lapis Blue offered. 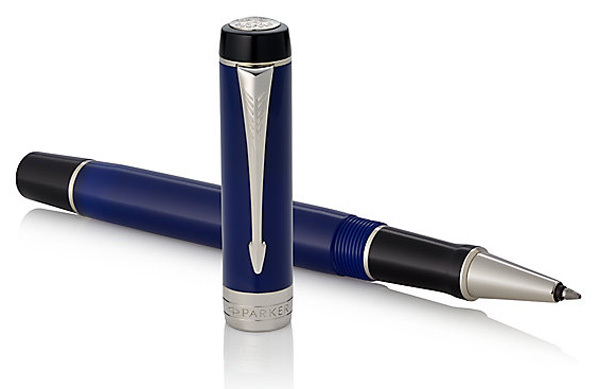 Lapis Blue is out of production, but we still have a few models left in stock. The new Classic Blue looks close in color, but I'll have a better feel for the color when our first shipment arrives (October-November). How does that ruthenium model look in person? Is it heavy? We'll be sure to post weights when we get them - they are due to arrive beginning of November.